(PRLEAP.COM) March 12, 2015 – Jeffersonville, IN. Marwood Inc., a leading provider of domestic and imported hardwood veneers in the U.S. and overseas, was recently recognized as the veneer supplier for the woodwork in the Johnny Sanchez Restaurant at the Horseshoe Casino in Baltimore, Maryland. 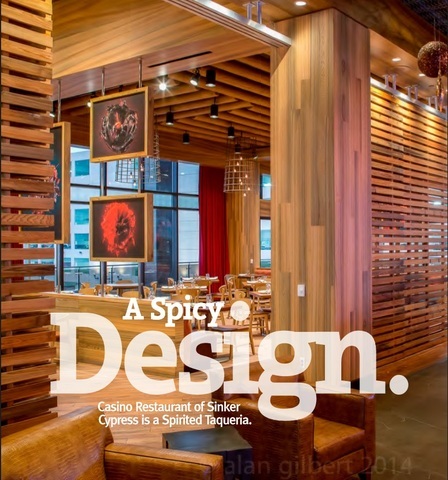 The woodwork in the restaurant won the Architectural Woodwork Institute’s prestigious National Award of Excellence and was showcased in the winter 2015 issue of Design Solutions Magazine. Click Here for the full article!